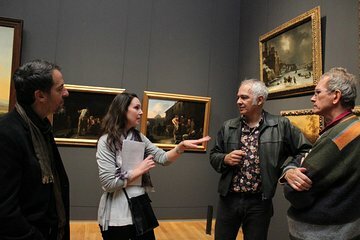 Our tour guide was highly knowledgeable on subject of 17th Century Dutch art and went into great detail on each piece we saw. For me, it was too much detail as we spent 2 hours on just the gallery of honor. The pace was too slow for my liking but is probably well suited to art history aficionados. The tour we took with Lori for the Rijksmuseum was awesome! She had so much knowledge and passion for art! Thank you for the great tour...I recommend this tour for anyone!